The Akrapovic slip-on open and street legal exhaust system for Ducati Monsters is an invincible combination of performance and price. In addition to performance, the twin hexagonal shaped titanium or carbon fiber mufflers add a clean racing look. Additionally, the Ducati will put out a much more powerful racing sound. You will also save 1.94 kg compared to the stock Ducati exhaust system. The slip-on street legal system is homologated and ready for road use. 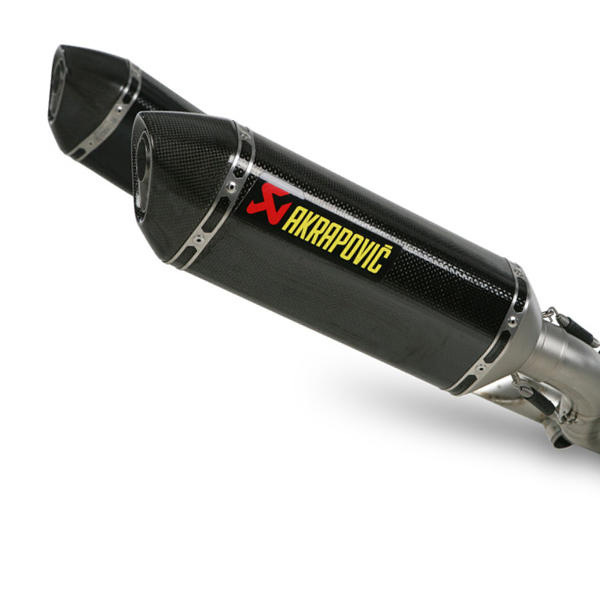 Power & Torque: The Akrapovic slip-on open system greatly increases the potential of the big twin cylinder engine. Both power and torque are increased over the entire rpm range, with the greatest increase shown in the middle and top of the range. We measured 89.59 HP at 7780 rpm, while the max. increased power of 3.16 HP was measured at 4350 rpm. That results in a much smoother ride as the biggest gain of power starts from 3500 rpm to 6000 rpm.